This year, the Kumho Art Hall is featuring a performer every Thursday to spread classical music culture in Korea. The next concert will feature cellist Laurence Lesser and pianist Sohn Min-soo. Lesser is an American cellist who has performed as a soloist with some of the world's leading orchestras such as the Boston Symphony and the London Philharmonic. He is currently working as a professor at Baltimore's Peabody Institute and has released several albums. Sohn began playing the piano at the age of three and attended the New England Conservatory of Music. He has won various international competitions and also performed with ensembles such as the National Orchestra of Belgium. At the concert, the two will play Bartok, Bach, Beethoven and Rachmaninov. Deborah Kang began playing the violin in the fourth grade and went on to study abroad in Germany. Winning various international competitions, she was recognized for her stellar performances and appeared on SBS. Her own composition, "Take a String," was even performed at Carnegie Hall. She was recently invited to Russia to perform at the Innoprom Fair with the Ural Philharmonic Orchestra. Currently she is teaching at the Seoul Central Conservatory and is an active member of several chamber ensembles. At the concert she will be performing pieces by Stravinsky, Tchaikovsky, Pujol and Piazzolla. Lee Gi-kwang is a Korean musician who is part of the group Highlight (previously known as BEAST). The group released five studio albums in total and received worldwide popularity for their trendy music, excellent vocals and impressive choreography. After switching labels in 2017, the group changed its name to Highlight. Lee Gi-kwang's solo career began in 2017 with his mini album "One." He took a large part in producing the album and has also been recognized for his songwriting skills. He has released two mini-albums and has also collaborated with artists such as Brave Brothers and Fantastic Duo. Tickets cost 99,000 won. For more information, visit ticket.interpark.com or call (02) 1544-1555. English singer-songwriter Ed Sheeran will be coming to Korea this April as part of his Divide World Tour. Sheeran began his music career in 2004. Even before joining an official label he was greatly popular with the public and reached No.2 in the iTunes chart with his No. 5 Collaborations Project in 2011. To date he has released three full studio albums, 14 mini-albums and 24 singles. He has also made several film appearances. He has completed three world tours. With his extensive discography, Sheeran has also won many prestigious awards including the American Music Awards, the Billboard Music Awards and several Grammy Awards. Tickets cost 110,000 won to 132,000 won. For more information, visit ticket.interpark.com or call (02) 1544-1555. 2PM member Junho will have a solo concert at the end of March. He debuted with the group in 2008, and debuted as a soloist when he released his mini-album "Kimi no Koe," which was released in Japan. To date he has released two Korean full studio albums, "One" (2015) and "Two" (2019), two Japanese studio albums, "One-Japan Special Edition" (2015) and "Junho the Best" (2018). He has also released several mini-albums and singles. Junho has not only received attention for his contributions as a 2PM member and solo artist, but also for his composing skills. He produces many of the tracks on his albums and has also produced for other group members and drama soundtracks. Tickets cost 121,000 won. For more information, visit ticket.interpark.com or call (02) 1544-1555. 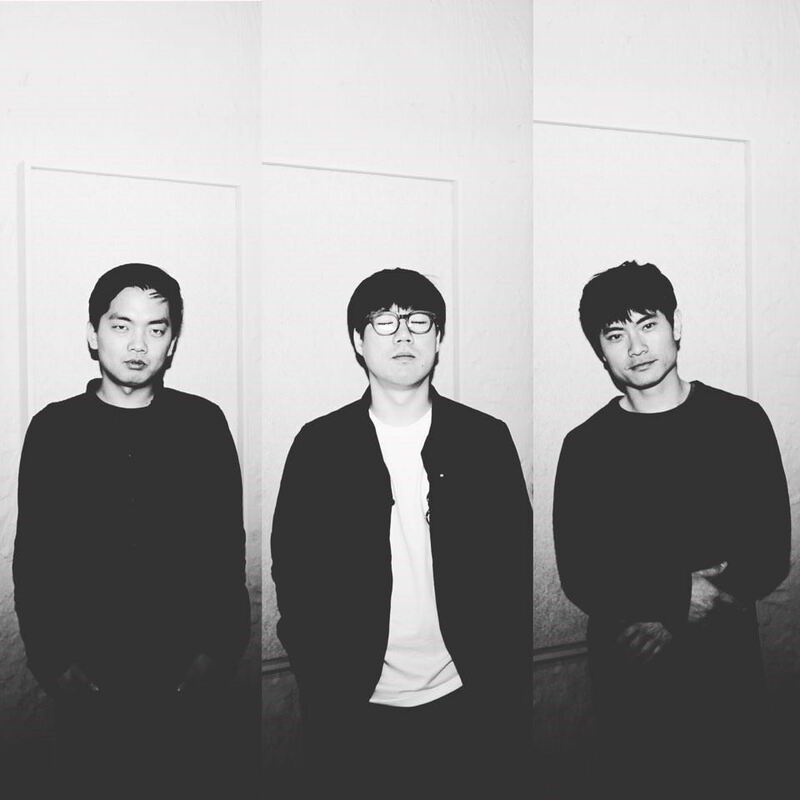 In April, two artists, the Yun Seok-chul Trio and Baek Ye-rin will be performing a collaboration concert. Yun Suk-chul is a jazz pianist who has won both the Ulsan Jazz Festival and the Jarasum International Jazz Festival competitions. He has also made an appearance on "Yoo Hee-yeol's Sketchbook." He released his first album in 2008 and since then has released four more albums. Baek Ye-rin debuted as part of the duo 15& under JYP Entertainment. In 2015, she started her career as a solo artist with the mini-album "Frank." She has also been featured in the tracks of several popular artists including Jun.k and Taecyeon of 2PM. Tickets cost 10,000 won to 30,000 won. For more information, visit ticket.interpark.com or call (02) 1544-1555. Set in 1909 in Korea, "Hero" takes place at a time when the country was on the brink of being completely overtaken by Imperial Japan. 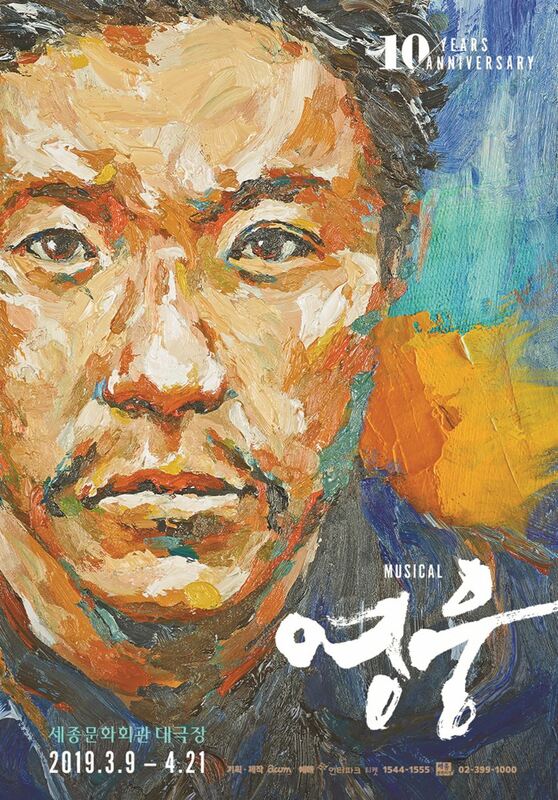 The musical revolves around 30-year-old Jung-geun (played by Ahn Jae-wook, Jung Sung-hwa and Yang Jun-mo) who joins the Independence Movement. Another key character in the musical is Ito Hirobumi (played by Kim Do-hyung, Lee Jeong-yeol and Jung Lee-wook), who goes to the city of Harbin to meet with the Russian minister. After hearing of Ito's trip to Harbin, Jung-geun makes it his mission to assassinate Ito. He sees this as a prime opportunity to further the movement and achieve independence. Tickets cost 60,000 won to 140,000 won. For more information, visit ticket.interpark.com or call (02) 1544-1555. Based on the novel "The Strange Case of Dr. Jekyll and Mr. Hyde" by Robert Louis Stevenson, this musical takes place in London in 1885. Dr. Jekyll is a famous scientist who will soon marry the love of his life, Emma. Dr. Jekyll performs an experiment in which he creates Mr. Hyde, his alter-ego and an evil version of himself. As time goes on, Mr. Hyde grows stronger and stronger, making it difficult for Dr. Jekyll to gain control of himself as well as his love life. When Mr. Hyde begins to murder people, Dr. Jekyll must do everything it takes to save those he loves from the monster he created. The cast will include musical stars Cho Seung-woo and Hong Kwang-ho in the titular dual role. Tickets cost 70,000 won to 140,000 won. For more information, visit ticket.interpark.com or call (02) 1544-1555. Disney's musical "The Lion King" will be at the Korean stage until March during its international tour. The musical is based on the original film, released in 1994. The musical adaptation hit Broadway for the first time in 1997 and became instantly popular. A team of legendary composers including Elton John, Tim Rice, Lebo M, and Hans Zimmer created the score for this production, contributing to its immense success. The music received critical acclaim from the New York Times, which claimed, "there is simply nothing else like it," and WWOR-TV deeming it as "a feast for the eyes and ears." Tickets cost 60,000 won to 170,000 won. For more information, visit ticket.interpark.com or call (02) 1544-1555. This French musical took to the stage for the first time in 2015 in Paris. It recounts the legend of King Arthur, one of the most renowned figures in European history. The story begins from the day that young Arthur pulls the magical sword Excalibur out of a rock and becomes king. While many pledge their allegiance to the new king, others oppose him, as Arthur was not born to nobility. Due to this opposition, war begins in the kingdom. It is up to King Arthur to show the world he is indeed the "Chosen One" and has a claim to the throne. During his battles, Arthur meets Guinevere and falls in love. The musical is a dramatic portrayal of both his adventures on the battlefield as well as his passionate love story. Every Saturday until the end of March, the Lee Won-kuk Ballet Company will be performing some of the world's famous ballets including "Carmen," "Sleeping Beauty" and "Chicago." The company was founded in 2004 by Lee Won-kuk, one of Korea's top danseurs who graduated from Chung-Ang University. Lee is also a former leading member of the Universal Ballet, the Kirov Ballet and the Romanian Ballet Company. The Lee Won-kuk Ballet Company performs over 150 performances a year and seeks to spread ballet culture within Korea. Tickets cost 30,000 won. For more information, visit ticket.interpark.com or call (02) 1544-1555. Located near the New Hilltop Hotel in Nonhyeon, Club Octagon is notable for its stylish interiors and elite clientele. The club features a performance stage, lounge bar and dining area and is the perfect place to unwind on a night out after work or on the weekend. It is near exit 4 of Hakdong Station on Line 7. For more information, call (02) 516-8847. Club Globe Lounge is famous among women looking for a place to throw birthday parties or enjoy a light dinner. From 7 p.m. to 10 p.m., it serves as a bar, changing into a club after 10 p.m. Every Thursday, Club Globe Lounge has a Happy Hour buffet for guests. Club Globe Lounge is located near the Hamilton Hotel by exit 2 of Itaewon Station on Line 6. For more information, call (02) 792-1127. Club Evans is a live music club that has served as a platform for emerging jazz artists for a decade. It also operates jazz recording studios, where it produces albums for many local jazz artists and a jazz academy. Club Evans holds jazz concerts and music sessions every Monday and Tuesday. Opening at 7:30 p.m., Club Evans is located near exit 1 of Sangsu Station on Line 6. For more information, visit clubevans.com or call (02) 337-8361. Once in a Blue Moon, one of the best-known jazz clubs in the city, features live jazz sets from two different bands every night, usually starting at 7:30 p.m. It is located between the Hakdong Intersection and Galleria Department Store in Apgujeong. For more information, visit onceinabluemoon.co.kr or call (02) 549-5490. Opened on Aug. 24, 2018, Cheongdam brings to partygoers its latest club. Its new facilities have a modern vibe. The club plays both EDM and hip-hop music and has already had a guest performance by trending hip-hop artist Sik-K at its opening party. For more information, call 010-8671-6323. Noise Basement is one of the oldest clubs in the Hongik University area and is owned by YG Entertainment Company. NB has two locations, NB1 and NB2, which are located right across the street from one another. Both locations play hip-hop music and incorporate both old and new hip-hop into their sets. For more information, call (02) 326-1716.